We’d love your help. Let us know what’s wrong with this preview of The Raft by Robert Trumbull. A gripping account of three naval airmen adrift in the Pacific for 34 days. What are some good group discussion questions with the answers? This memoir was put together by Robert Trumbull in 1942 soon after Harold Dixon, Gene Aldrich, and Tony Pastula underwent their trying ordeal. It's told from Dixon's perspective. He was the pilot and senior to the other two. He gives his opinions relatively Three naval airmen from a downed plane spend over a month in an open raft upon the South Pacific Seas with no food, water or cover from the sun and live to tell the tale. Wow. I need to stop bitching when I get a little sunburn or miss lunch. The perfect book to read while solidifying in subzero weather is The Raft by Robert Trumbull. And one look at the cover will suggest that another bite of that fat laden steak is well-worthwhile. Trumbull retells the story of 3 aviators whose plane went down in the Pacific. They had a rubber raft and little else because the plane sank so quickly. They were adrift for 34 days and traveled over 1,000 miles. The raft was about four by eight feet. It was so small that no one could stretch out. "Imagi The perfect book to read while solidifying in subzero weather is The Raft by Robert Trumbull. And one look at the cover will suggest that another bite of that fat laden steak is well-worthwhile. Trumbull retells the story of 3 aviators whose plane went down in the Pacific. They had a rubber raft and little else because the plane sank so quickly. They were adrift for 34 days and traveled over 1,000 miles. The raft was about four by eight feet. It was so small that no one could stretch out. "Imagine doubling up on a tiny mattress, with the strongest man you know striking the underside as hard as he could with a baseball bat, twice every three seconds, while someone else hurls buckets of cold salt water in your face." The raft also had a nasty tendency to overturn when waves got a little high, or the occupants moved incorrectly. Their clothes were often wet from spray. They were very hot during the day and cold at night. They had no food, and, after the several flips of the raft, only a penknife and themselves for company. It's always amazing how resourceful people can be under trying circumstances. Harold Dixon, who had the most navigational experience, managed to calculate about where they were and where they needed to go, more or less, and then figured small ways to steer the craft to go in that particular direction. Squalls were viewed as a mixed blessing. Rain was their only source of drinking water (which they gathered by wringing out their clothes. But squalls brought wind and waves which might turn them over. Finally, after being tossed by the winds of a passing hurricane they sighted an island toward which they frantically paddled, The natives were astonished to see them for they managed to float through the surf of a coral reef that the natives considered impenetrable in their canoes. They were slowly nursed back to health and then eventually rescued. I found this book as I was cleaning out a bookcase in my parents' home. Mom belonged to the Book-of-the-Month Club during the WW II years, and this 1942 copy still has the review and synopsis by the Club News inside. It is the true story of three US navy-men who took off from a carrier on a bombing mission, ran out of gas, and had to ditch in the ocean somewhere in the South Seas. They, unfortunately, end up in a small rubber raft with no food or water and little else, floundering and supportin I found this book as I was cleaning out a bookcase in my parents' home. Mom belonged to the Book-of-the-Month Club during the WW II years, and this 1942 copy still has the review and synopsis by the Club News inside. It is the true story of three US navy-men who took off from a carrier on a bombing mission, ran out of gas, and had to ditch in the ocean somewhere in the South Seas. They, unfortunately, end up in a small rubber raft with no food or water and little else, floundering and supporting each other for 34 long and painful days. This is an adventure story that couldn't be invented, and one that will leave you amazed at the steadfastness of the human spirit! A true story about three men staying alive in a small sized raft. After the plane carrying them crashed at the pacific ocean. It is surprising to know how much human can withstand pain and hardship just to stay alive. The true story of 3 Navy men who survive 34 days in the Pacific with no food. After seeing the movie (Against the Sun) based on this story, I was intrigued and decided to track down the real story. I thought, surely the movie embellished most of the scenes in the film - surely most of it was fictionalized. It's an excellent movie, by the way - I highly recommend it. Come to find out, the movie was pretty accurate (with the exception of a few things). Survival/endurance and WWII stories are my favorites, and this one is an absolutely incredible story. I really enjoyed the s After seeing the movie (Against the Sun) based on this story, I was intrigued and decided to track down the real story. I thought, surely the movie embellished most of the scenes in the film - surely most of it was fictionalized. It's an excellent movie, by the way - I highly recommend it. Come to find out, the movie was pretty accurate (with the exception of a few things). Survival/endurance and WWII stories are my favorites, and this one is an absolutely incredible story. I really enjoyed the style of writing and the way the author described the sea. Just hearing what the men went through and how they were able to go as long as they did was amazing. Plenty of readers have already rehashed the details of the story, and I don't want to spoil anything. At first I wanted to compare this book to Unbroken, and it is similar. This book was written by the person that experienced the raft, not by a professional author so the style is pretty straightforward, nothing fancy. They suffered immensely. They went for days without food or fresh water, but all three men survived. What they suffered could have made them break down, want to harm one another, or simply give up, but they fought to stay alive and positive. This is a fantastic true story about survival, I read this book a few years ago, and even got to see the real lifeboat in person at the National Museum of Naval Aviationin Pensacola, Fl while on vacation. They made a movie about it "Against The Sun" never seen that though. Give the story a chance, it's one you will never forget. An engaging true story of survival adrift on the open sea written in the blunt style of mid-twentieth century pulp fiction. Spoiler alert: around day twelve, bowel movements are discussed. Reporter Robert Trumbull's book "The Raft" tells the story of Harold Dixon, Tony Pastula and George Aldrich. The trio's plane crashed in the ocean during World War II and they floated in a rubber raft for 35 days with a knife, rusting pistol and a couple of life jackets along side them. Their survival is nothing short of a miracle. Told with sparse, short sentences, the book is not a literary masterpiece. However, the story is very readable and engrossing. There are loads of better written surviv Reporter Robert Trumbull's book "The Raft" tells the story of Harold Dixon, Tony Pastula and George Aldrich. The trio's plane crashed in the ocean during World War II and they floated in a rubber raft for 35 days with a knife, rusting pistol and a couple of life jackets along side them. Their survival is nothing short of a miracle. Told with sparse, short sentences, the book is not a literary masterpiece. However, the story is very readable and engrossing. There are loads of better written survival stories out there, but not as many that are quite as miraculous. I didn't realize this was a re-release of a nonfiction book from the early 1940s when I picked it up at the library. If i had known, I might have missed out on learning about this 70 years ago headline catching news story. What an amazing story of survival! Wiki: Three downed U.S. Navy fliers from the USS Enterprise landed on Pukapuka in February 1942. Harold Dixon, Gene Aldrich, and Tony Pastula survived 34 days on the open ocean in a tiny 4 by 8 foot (1.2 by 2.4 m) raft, beginning their odys I didn't realize this was a re-release of a nonfiction book from the early 1940s when I picked it up at the library. If i had known, I might have missed out on learning about this 70 years ago headline catching news story. What an amazing story of survival! I have a passion for true stories of people who were lost at sea and survived. This one is about 3 navy aviators who survived 34 days in a small raft in early 1942. They got lost while on a routine mission and ditched in the ocean. They had little in the way of food and water. They were burned by the hot tropical sun every day. They caught and ate fish, coconuts that floated by in the water, a shark(!) and a bird. They drank animal blood and also learned to wring rainwater out of their clothes f I have a passion for true stories of people who were lost at sea and survived. This one is about 3 navy aviators who survived 34 days in a small raft in early 1942. They got lost while on a routine mission and ditched in the ocean. They had little in the way of food and water. They were burned by the hot tropical sun every day. They caught and ate fish, coconuts that floated by in the water, a shark(!) and a bird. They drank animal blood and also learned to wring rainwater out of their clothes for drinking. I read this book off my parent's bookshelf when I was 12. It was the first 'adult' non-fiction book I really read and it was gripping. I'll never forget how intense the experience was and how I totally related with those guys on the raft. 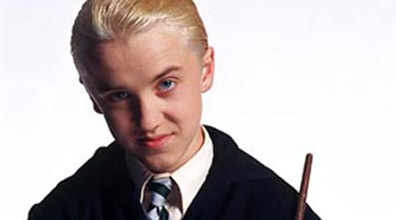 I'll never forget it, because it took my love of reading to a whole 'new level'. (How cliche! sorrry, but it did.) When I read "Life of Pi" years later, I remembered this book. Re-read this recently out loud to the kids on an RV vacation. I really enjoy this book. I love books from the WW2 era. The book details the journey of three US soldiers whose plane goes down in the South Pacific. They are left alone in the ocean with only a very small life raft, a few very basic items. The story details their fight to survive over multiple weeks adrift at sea through ingenuity and an unwillingness to give up. A story of survival and ingenuity that kept these 3 men sane through 34 days adrift at sea. Their story shows how your mental and emotional condition is the most important thing that you bring to any situation. They did things that I would have a hard time doing having just got up from a good nights sleep and the breakfast table. This is a very inspiring story about the endurance of three men who decided not to let shipwreck get them down. I was very impressed by their stamina and their sheer will and discipline to recover from every setback nature could throw at them. I think a lot of people would benefit from reading this book. Definitely a great illustration of perseverance and ingenuity. a lot of take home points and lessons learned for any interested in water survival and SERE. Lastly, I've read as many books that come my way concerning survival and this story maintains the consistent theme of believing in a higher power and the power of prayer gives one strength. A typical survival book (I love survival books) - fascinating to read, but not particularly good literature, but told in a very straightforward manner. The story is of three navy airmen who survive in the Pacific for 34 days with essentially no supplies or food or water. Their survival and the fact they finally find land is hard to imagine. This is the true story of three Navy airmen whose plane crashed into the Pacific during WWII, and who were adrift in a very small raft for 34 days over 750 miles of ocean with little food or water. I first read this book as a very young teenager... it has always stayed with me a a tale of survival and determination. Based upon the first person account of three servicemen whose plane went down in the Pacific during WWII. They managed to get out the rubber raft before their plane sank, taking all supplies with it. They survived on the not-so-calm waters of the Pacific for 34 days, near death, before they land on an inhabited atoll in the lonely Pacific. Great book and true story occurred and was written in 1942. 3 guys take off from an airplane carrier and have to ditch their airplane. It's their amazing story of survival in a rubber raft. Good book that anyone in the family would enjoy. I'm checking out the book and giving it to my boys to read. I listened to the book on tape. Originally released in 1942 and again in 1992. 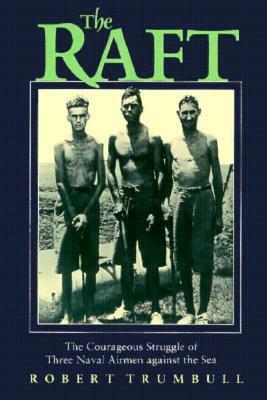 A easy read of three airman's survival in a rubber raft for thirty four days in the South Pacific. A story of personal survival, tools they used and successful outcome. The epilogue completes these three men's life story. Told in the first person of pilot Dixon. A good read. I read this in high school and learned some things from Chief Dixon. I took those lessons into adulthood and used a few in Desert Storm and Operation Iraqi Freedom. Of course, I did not float adrift in a raft in the Iraqi desert. Still, Dixon's humble story of patience, faith, and perseverance inspired me almost 30 years after I read it.